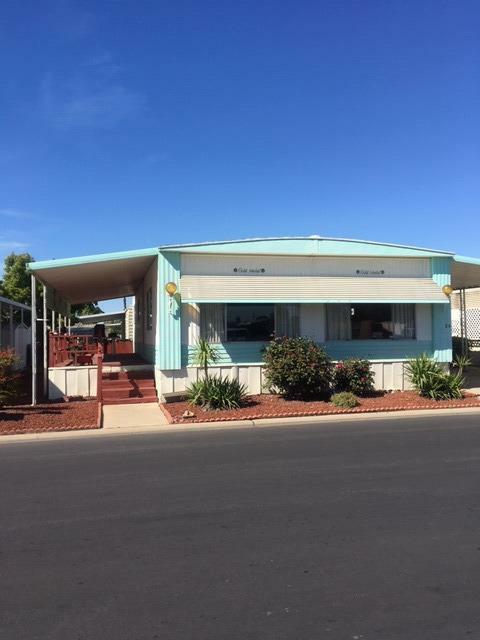 Good opportunity to own double wide 2 bd/2ba manufactured home in nice 55+ over mobile home park with well-maintained streets, clubhouse, pool, spa and recreation areas. Needs work, but price is low and seller is motivated. Sold as is/where is. With TLC, will become great affordable housing close to shopping center. Submit Offers.